Is Duterteâ€™s TRAIN Law Veto Bad News For Foreign Investments in PH? As euphoria over the relatively quick passage and approval of the Tax Reform for Acceleration and Inclusion (TRAIN) Law in December 2017 give way to the mundane business of complying with its numerous and complex provisions, key questions are emerging on the implications of some of the provisions of the Duterte administration’s first tax reform package. One of these concerns President Rodrigo Duterte’s veto of a couple of provisions in the TRAIN bill ratified by Congress that extends zero value added tax (VAT) rating on sale of goods and services to registered enterprises within separate customs territory, special economic zones and tourism enterprise zones. Under the country’s tax laws, the VAT rate on exports sales is zero. The zero VAT rate also applies to locally based suppliers of goods and services of the exporters and locators within special economic zones. Without the zero VAT rate for their suppliers, exporters pay the 12 percent VAT on their purchases from their local suppliers. They then have to go through a complicated and prolonged process to claim a refund from the Bureau of Internal Revenue (BIR). 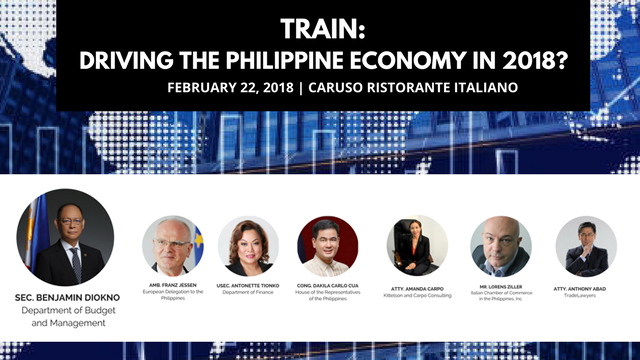 At a luncheon meeting on the TRAIN Law hosted by the Italian Chamber of Commerce and Industry in the Philippines (ICCP) at the Caruso Ristorante Italiano in Makati last week, one of the key questions from the participants was about the impact of Duterte’s veto on provisions in the TRAIN bill that included sales to registered enterprises in economic zones under the Philippine Economic Zone Authority (PEZA), Tourism Industry Economic Zone Authority (TIEZA) and other special customs territories among export sales that are subject to zero VAT rating. Among the most active global companies in encouraging their suppliers from their home countries to locate to the Philippines are Japanese car makers who are trying to boost the production of some models for both the local and export markets to qualify for government incentives under the Comprehensive Automotive Resurgence Strategy (CARS) program. The government, particularly PEZA, is also keen to attract foreign suppliers of global manufacturers to locate in the country as this will boost high-paying employment, manufacturing output and exports. Still, almost two months since the TRAIN Law took effect on January 1, 2018, it still remains unclear if Duterte’s veto will subject or not the sales of these suppliers to economic zone locators to 12 percent VAT. The BIR has yet to issue to the appropriate regulations clarifying the matter. One of the speakers at the ICCP luncheon, lawyer Amanda Carpo who advises international investors on tax matters in the Philippines, agreed with the participant that Duterte’s veto meant that suppliers of exporters and locators in economic zones will likely be subject to 12 percent VAT rather than zero percent. Recognizing the adverse potential implications on foreign investments, the Department of Finance is moving to allay concerns that the president’s veto will automatically subject suppliers’ sales to exporters and PEZA locators to the 12 percent VAT rate. Ahead of the issuance by the BIR of regulations clarifying how Duterte’s veto will impact indirect exporters’ sales, Department of Finance Undersecretary Antonette Tionko told the ICCP gathering that sales to PEZA zones are still zero-rated. 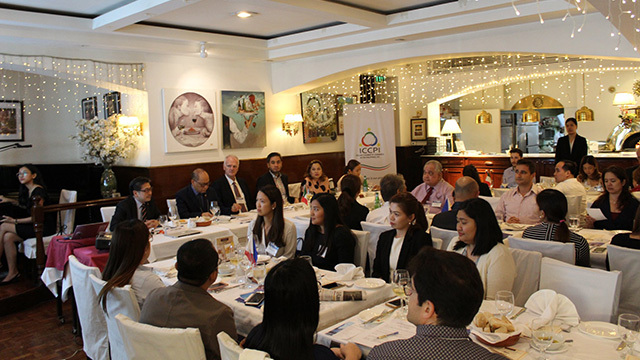 Many participants at the ICCP luncheon welcomed the DOF official’s much-needed clarification even as they await the formal BIR regulations about the crucial matter. FDI in the first 10 months last year grew by a fifth to $7.9 billion—surely a sign of continuing foreign investor confidence in the country. However, foreign investment commitments generated by incentives-granting bodies in 2017—which are indicative of future FDI flows—fell by more than 50 percent. If anything, that should prompt the BIR to hasten the release of regulations clarifying the impact of the president’s veto. Established in 2011, the ICCP aims to promote and facilitate business relationships between Italy, Europe and the Philippines. It helps Italian and European investors look for partners in the Philippines through events, newsletters and tours, among others. 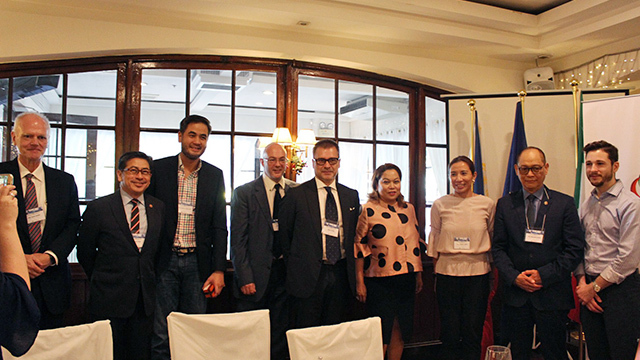 Entrepreneur Philippines was a media partner at the luncheon meeting on TRAIN Law. With the Peso Falling to Almost 12-Year Lows, Can You Still Afford Your Dream Vacation Abroad?